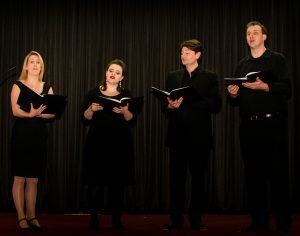 Hartley Voices Choir is a stylish and energetic professional chamber choir based in London. The choir is made up of talented professional singers with a passion for outstanding singing and creating beautiful music. Our reputation is that of excellence and heartfelt musicianship drawn from a rich history and extensive musical training. 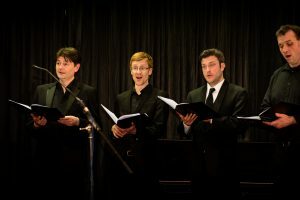 We perform a wide range of repertoire from traditional choral music to new arrangements of popular music. There is something for everyone at each of our choral performances, and the choir will take on any vocal challenge. Our traditional choir regularly performs across the United Kingdom and collaborates with choirs of all types. 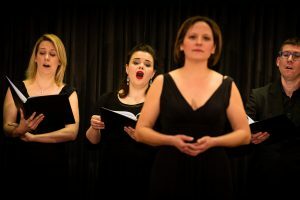 Our choir ranges in size typically from 4 singers to 20 for an event. We can perform a full programme for you or enhance your ceremony with a few performance numbers as well as help your congregation by leading the hymns. 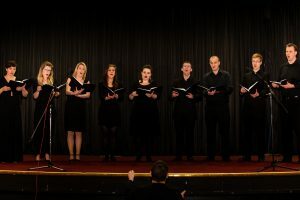 If you would prefer to leave the singing to the professionals, our choir of anything from four to twenty singers with organist or chamber ensemble and can be guaranteed to provide a high quality musical feature. We are happy to discuss your requests and to give suggestions to fill out your programme. Some examples of our choir’s extensive repertoire includes but is not limited to….